PARIS, FRANCE: February 5, 2018 – Julius Berman, President of the Conference on Material Claims Against Germany (Claims Conference) is pleased to announce for the first time, a newly recognized group of Jewish Holocaust survivors will be entitled to compensation from the German government. 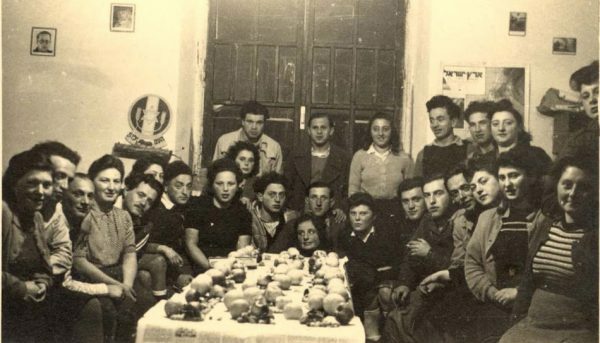 Jews who resided in Algeria between July 1940 and November 1942, and suffered from Nazi persecution may now be eligible for payment through the Claims Conference Hardship Fund. Those eligible will be entitled to a one-time payment of €2,556.46. It is estimated that there are approximately 25,000 Algerian Jewish Holocaust survivors living around the world. The Claims Conference is opening a Registration Help Center in Paris, where the largest group of Algerian survivors resides, to help survivors apply for the newly identified compensation through the Hardship Fund. Registration Center visits will be by appointment only, services are free to all survivors, and no legal representation is required. The Registration Center will open in early February and is expected to stay open through April 2018. Satellite centers in other cities such as Marseille, Lyon and Toulouse will be opened throughout that time to assist survivors that may not be able to get to the registration center in Paris. A direct mail will be sent out to known Algerian survivors in other countries informing them of the changes in their eligibility. Payments to those determined to be eligible will start in July 2018. For those who wish to schedule an appointment at any of the Claims Conference Registration Help Centers, they can access the online scheduling tool at http://www.fonds-ipa.fr. Survivors will be given more information about what to bring and where to go once their appointment is scheduled.